Taking a little bit of time to make just a few changes to your email marketing can get you big results in engagement, and it’s all about engagement, right? The best way to understand how engaged your readers are is to take a look at your email marketing reporting stats. They’ll tell you how engaged your readers are: How many people opened an email from you, and what percentage of email openers clicked on links. Pre-header – This is the first line of text or copy in your email and it gets pulled into the subject line in the preview pane. Usually this is text at the top of the email, above the logo. If you don’t have a logo, banner, or header in your email, it’s whatever text is first in the email. Which means it could be ‘View in a Browser‘. Ugh! That’s helpful for a reader seeing a text version of the email, but it’s not an attention grabber to get more opens. 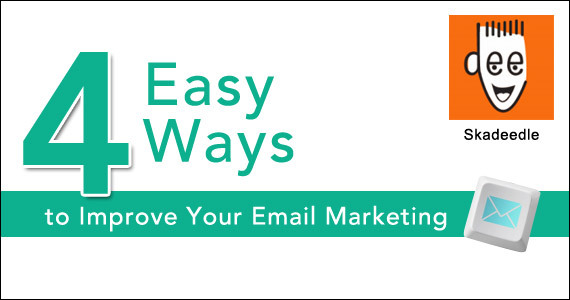 The pre-header serves as a secondary subject line and gives your readers more motivation to open your email and essentially turbocharges it. Give it some gusto by making sure you put something attention grabbing there. Alt Text – Almost all email browsers “turn off” images by default, and so your slick images may not initially render until the reader clicks the “display images” link. When an image isn’t displayed, alt text is the text that shows up instead of your image. If you’re not careful, you can end up with alt text that reads something like “v2logo,” which isn’t going to motivate anyone to do anything. Your email will be much more impact if you change your alt text to something that relates to the action you want your readers to take. For example, “Save 25% on our new spring room fresheners when you purchase by 5/1/13.” This kind of text will drive a higher email open rate and more clicks. Social Media – Yep, we like to talk about social media. But we do it because it can be such a boon to a small business, driving interest, traffic and sales. Your email is no different and it can really benefit from tapping into the power of social media. There are two things you can do to social up your email. First, allow your readers to share it on their own social networks, getting your awesome content in front a whole new audience. Second, include links to your own social networks so your readers can connect with your business. Both of these are easy to include in your emails and a fast way to ramp up engagement. Include an Incentive– Your readers joined your mailing list because you promised to provide them something of value. Of course the informative and educational content you send is great and the primary value of your email, but people also want discounts. Send out coupons, offer special discounts and notify readers of upcoming sales. You don’t have to give away the farm, but offer occasional deals and you could see your click rate go up, and in turn, your sales. Ka-ching! That wasn’t too tough was it? 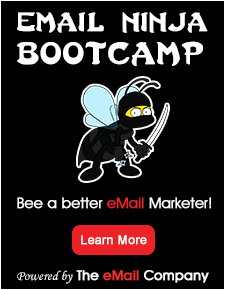 With just a few small changes to your email marketing you could see a big difference in your results. If you want to test which of these suggestions makes the biggest difference, try adding them to your email one at a time and keeping an eye your stats. Which tip will you try first? Share your own tips or successes in the comments. We’d love to hear ‘em! Profile: Skadeedle is the coolest site for all your small biz marketing – yep, all of it! We offer tons of tools, how-tos, advice from the pros and heaps more to ramp up your small biz mojo. We give you the scoop on the latest and greatest in marketing, social media and technology and how to apply them to your business, so you can focus on what you do best: growing your company!